This article is about computer illustration. For other uses, see Vector graphics (disambiguation). Vector graphics are computer graphics images that are defined in terms of 2D points, which are connected by lines and curves to form polygons and other shapes. Each of these points has a definite position on the x- and y-axis of the work plane and determines the direction of the path; further, each path may have various properties including values for stroke color, shape, curve, thickness, and fill. Vector graphics are commonly found today in the SVG, EPS and PDF graphic file formats and are intrinsically different from the more common raster graphics file formats of JPEG, PNG, APNG, GIF, and MPEG4. One of the first uses of vector graphic displays was the US SAGE air defense system. Vector graphics systems were retired from the U.S. en route air traffic control in 1999, and are likely still in use in military and specialized systems. Vector graphics were also used on the TX-2 at the MIT Lincoln Laboratory by computer graphics pioneer Ivan Sutherland to run his program Sketchpad in 1963. Subsequent vector graphics systems, most of which iterated through dynamically modifiable stored lists of drawing instructions, include the IBM 2250, Imlac PDS-1, and DEC GT40. There was a home gaming system that used vector graphics called Vectrex as well as various arcade games like Asteroids, Space Wars and many cinematronics titles such as Rip-Off, and Tail Gunner using vector monitors. 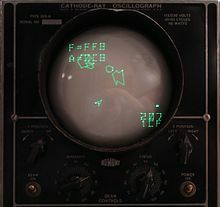 Storage scope displays, such as the Tektronix 4014, could display vector images but not modify them without first erasing the display. In computer typography, modern outline fonts describe printable characters (glyphs) by cubic or quadratic mathematical curves with control points. Nevertheless, bitmap fonts are still in use. Converting outlines requires filling them in; converting to bitmaps is not trivial, because bitmaps often don't have sufficient resolution to avoid "stairstepping" ("aliasing"), especially with smaller visible character sizes. Processing outline character data in a sophisticated fashion to create satisfactory bitmaps for rendering is called "hinting". Although the term implies suggestion, the process is deterministic and done by executable code, essentially a special-purpose computer language. While automatic hinting is possible, results can be inferior to that done by experts. Modern vector graphics displays can sometimes be found at laser light shows, where two fast-moving X-Y mirrors position the beam to rapidly draw shapes and text as straight and curved strokes on a screen. Vector graphics can be created in a form using a pen plotter, a special type of printer that uses a series of ballpoint and felt-tip pens on a servo-driven mount that moves horizontally across the paper, with the plotter moving the paper back and forth through its paper path for vertical movement. Although a typical plot might easily require a few thousand paper motions, back and forth, the paper doesn't slip. In a tiny roll-fed plotter made by Alps in Japan, teeth on thin sprockets indented the paper near its edges on the first pass and maintained registration on subsequent passes. Some Hewlett-Packard pen plotters had two-axis pen carriers and stationery paper (plot size was limited). However, the moving-paper H-P plotters had grit wheels (akin to machine-shop grinding wheels) which, on the first pass, indented the paper surface, and collectively maintained registration. Present-day vector graphic files such as engineering drawings are typically printed as bitmaps, after vector-to-raster conversion. The term "vector graphics" is mainly used today in the context of two-dimensional computer graphics. It is one of several modes an artist can use to create an image on a raster display. Vector graphics can be uploaded to online databases for other designers to download and manipulate, speeding up the creative process. Other modes include text, multimedia, and 3D rendering. Virtually all modern 3D rendering is done using extensions of 2D vector graphics techniques. Plotters used in technical drawing still draw vectors directly to paper. 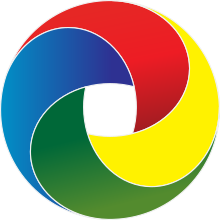 This vector-based image of a round four-color swirl displays several unique features of vector graphics versus raster graphics: there is no aliasing along the rounded edge which results in digital artifacts, the color gradients are all smooth, and the user can resize the image infinitely without losing any quality. The World Wide Web Consortium (W3C) standard for vector graphics is Scalable Vector Graphics (SVG). The standard is complex and has been relatively slow to be established at least in part owing to commercial interests. Many web browsers now have some support for rendering SVG data but full implementations of the standard are still comparatively rare. In recent years, SVG has become a significant format that is completely independent of the resolution of the rendering device, typically a printer or display monitor. SVG files are essentially printable text that describes both straight and curved paths, as well as other attributes. Wikipedia prefers SVG for images such as simple maps, line illustrations, coats of arms, and flags, which generally are not like photographs or other continuous-tone images. Rendering SVG requires conversion to raster format at a resolution appropriate for the current task. SVG is also a format for animated graphics. There is also a version of SVG for mobile phones. 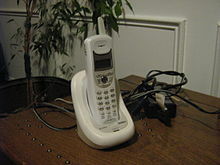 In particular, the specific format for mobile phones is called SVGT (SVG Tiny version). These images can count links and also exploit anti-aliasing. They can also be displayed as wallpaper. The list of image file formats covers proprietary and public vector formats. Detail can be added to or removed from vector art. Modern displays and printers are raster devices; vector formats have to be converted to raster format (bitmaps – pixel arrays) before they can be rendered (displayed or printed). The size of the bitmap/raster-format file generated by the conversion will depend on the resolution required, but the size of the vector file generating the bitmap/raster file will always remain the same. Thus, it is easy to convert from a vector file to a range of bitmap/raster file formats but it is much more difficult to go in the opposite direction, especially if subsequent editing of the vector picture is required. It might be an advantage to save an image created from a vector source file as a bitmap/raster format, because different systems have different (and incompatible) vector formats, and some might not support vector graphics at all. However, once a file is converted from the vector format, it is likely to be bigger, and it loses the advantage of scalability without loss of resolution. It will also no longer be possible to edit individual parts of the image as discrete objects. The file size of a vector graphic image depends on the number of graphic elements it contains; it is a list of descriptions. If we regard typographic characters as images, then the same considerations that we have made for graphics apply even to the composition of written text for printing (typesetting). Older character sets were stored as bitmaps. Therefore, to achieve maximum print quality they had to be used at a given resolution only; these font formats are said to be non-scalable. High-quality typography is nowadays based on character drawings (fonts) which are typically stored as vector graphics, and as such are scalable to any size. Examples of these vector formats for characters are Postscript fonts and TrueType fonts. This minimal amount of information translates to a much smaller file size compared to large raster images (the size of representation does not depend on the dimensions of the object), though a vector graphic with a small file size is often said to lack detail compared with a real world photo. Correspondingly, one can infinitely zoom in on e.g., a circle arc, and it remains smooth. On the other hand, a polygon representing a curve will reveal being not really curved. On zooming in, lines and curves need not get wider proportionally. Often the width is either not increased or less than proportional. On the other hand, irregular curves represented by simple geometric shapes may be made proportionally wider when zooming in, to keep them looking smooth and not like these geometric shapes. The parameters of objects are stored and can be later modified. This means that moving, scaling, rotating, filling etc. doesn't degrade the quality of a drawing. Moreover, it is usual to specify the dimensions in device-independent units, which results in the best possible rasterization on raster devices. From a 3-D perspective, rendering shadows is also much more realistic with vector graphics, as shadows can be abstracted into the rays of light from which they are formed. This allows for photo realistic images and renderings. Vector formats are not always appropriate in graphics work and also have numerous disadvantages. For example, devices such as cameras and scanners produce essentially continuous-tone raster graphics that are impractical to convert into vectors, and so for this type of work, an image editor will operate on the pixels rather than on drawing objects defined by mathematical expressions. Comprehensive graphics tools will combine images from vector and raster sources, and may provide editing tools for both, since some parts of an image could come from a camera source, and others could have been drawn using vector tools. Some authors have criticized the term vector graphics as being confusing. In particular, vector graphics does not simply refer to graphics described by Euclidean vectors. Some authors have proposed to use object-oriented graphics instead. However this term can also be confusing as it can be read as any kind of graphics implemented using object-oriented programming. Text (in computer font formats such as TrueType where each letter is created from Bézier curves) or quadratics. Often, a bitmap image is considered as a primitive object. From the conceptual view, it behaves as a rectangle. If an image stored in one vector file format is converted to another file format that supports all the primitive objects used in that particular image, then the conversion can be lossless. Vector graphics editors typically allow translation, rotation, mirroring, stretching, skewing, affine transformations, changing of z-order (loosely, what's in front of what) and combination of primitives into more complex objects. More sophisticated transformations include set operations on closed shapes (union, difference, intersection, etc.). Vector graphics are ideal for simple or composite drawings that need to be device-independent, or do not need to achieve photo-realism. For example, the PostScript and PDF page description languages use a vector graphics model. ^ "Tutorials - What Are Vector Graphics?". Retrieved 2018-06-01. ^ Arie Kaufman (1993). Rendering, Visualization and Rasterization Hardware. Springer Science & Business Media. pp. 86–87. ISBN 978-3-540-56787-5. ^ Nigel Chapman; Jenny Chapman (2002) . Digital Multimedia. Wiley. p. 86. ISBN 0-471-98386-1. ^ "Fonts – SVG 1.1 (Second Edition)". W3.org. 2011-08-16. Retrieved 2014-06-16. ^ "Vector & Raster Graphics in Offset Printing – Olympus Press – Commercial Printing". Olypress.com. Retrieved 2014-06-16. ^ "Printing and Exporting (Graphics)". Unix.eng.ua.edu. 2002-06-18. Retrieved 2014-06-16. ^ "ASCIIsvg: Easy mathematical vector graphics". .chapman.edu. Retrieved 2014-06-16. ^ "Vector Graphics". Wally.cs.iupui.edu. Retrieved 2014-06-16. ^ a b c Nigel Chapman; Jenny Chapman (2002) . Digital Multimedia. Wiley. p. 70. ISBN 0-471-98386-1. ^ Rex van der Spuy (2010). AdvancED Game Design with Flash. Apress. p. 306. ISBN 978-1-4302-2739-7. ^ Ted Landau (2000). Sad Macs, Bombs and Other Disasters (4th ed.). Peachpit Press. p. 409. ISBN 978-0-201-69963-0. ^ Amy Arntson (2011). Graphic Design Basics (6th ed.). Cengage Learning. p. 194. ISBN 1-133-41950-X.